What would you say to a program that helps you pay off your Hoboken mortgagein half the time? Sounds great doesn’t it? It’s called the Home Ownership Accelerator (HOA). It has only been available in the United States for a short time, but it has been successful in both Great Britain and Australia for several years. The HOA is a type of loan that works by using the money you have sitting idle in your checking or low interest savings account to pay off your mortgage faster. The great news is that you don’t need to change your spending habits. It works by taking your paycheck that you deposit into the checking account that comes with the loan and applying the money to reduce your mortgage balance. The benefit of this is that the mortgage interest that you owe goes down immediately. Mortgage interest is calculated on a daily basis and is based on your interest rate as well as the current size of your mortgage. When you need money, to pay your bills for example, you write a check from the checking account. The mortgage balance then goes up to cover the amount of the check. This type of loan works best for homeowners who make more than they spend in one month. Over time, this difference has a substantial impact on the remaining term of your Hoboken mortgage. Of course, you don’t need this type of loan in order to pay off your mortgage early. You can do it with your current mortgage by simply paying extra each month. But let’s face it, not all of us have the discipline to do that. An HOA makes it easy by doing it for you. Who can benefit from an HOA? The HOA is for those who are able to save money each month, have good credit, and have a solid income. It is great for those who are self-employed, investors, and high income earners. An HOA can also be used as a reverse mortgage. In order to qualify, your credit score needs to be at east 720 and you need at least 25 percent equity in your home or be willing to put 25 percent down on the loan. In addition, loans can go up to $2.5 million, but it must be a loan on your principal residence. About Eddie: Eddie Perez is a resident of Hoboken and works as a New Jersey licensed Broker – REALTOR. His goal is to educate both buyers and sellers so that they can make the most of their bottom line while saving time and having fun during the process of buying or selling condominiums and brownstones in Hoboken and the surrounding metro communities including Jersey City and Weehawken, New Jersey. He has personally sold over 135 homes and is among the top producing agents in Hudson County. You can email questions to Eddie or to schedule an appointment to meet with Eddie, call him direct at 201.344.2886. More and more buyers are teaming up with Mom and Dad to help alleviate some of the challenges of buying a condo in today’s market. The property cannot be considered a second home. 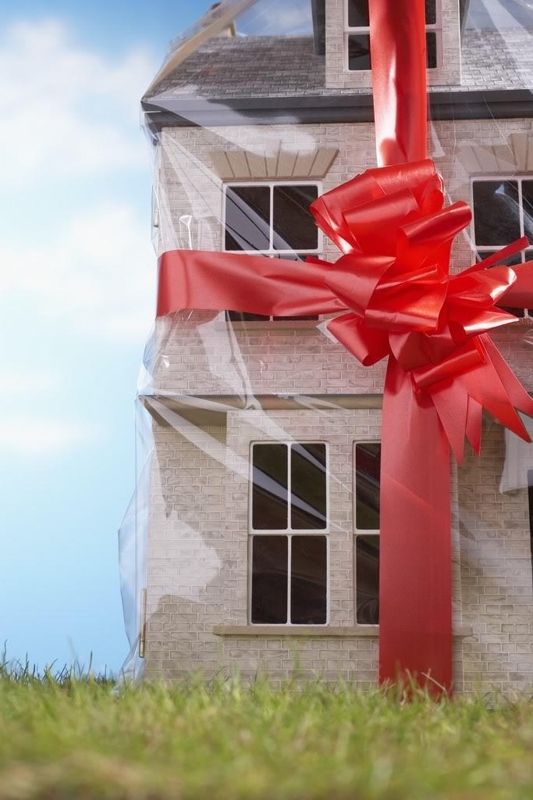 Investment Propety down-payment requirements are more substantial than what was planned. The parents don’t want to pay investment property mortgage rates. The college student has no income and cannot be put on the mortgage. To minimize the potential of a tax occurrence, parents and children should also seek advice from their tax professional as to how to best structure loans or gifts for real estate purposes. Having the right team in place and asking the right questions can help you and your parents achieve maximum results from your mutual investment. Now go call Mom and Dad and tell them how much you love them! About Eddie: Eddie Perez is a resident of Hoboken and works as a New Jersey licensed Broker – REALTOR . His goal is to educate both buyers and sellers so that they can make the most of their bottom line while saving time and having fun during the process of buying or selling condominiums and brownstones in Hoboken and the surrounding metro communities including Jersey City and Weehawken, New Jersey. He has personally sold over 135 homes and is among the top-producing agents in Hudson County. You can email questions to eddie@InvestHoboken.com. To schedule an appointment to meet with Eddie, call him direct at 201.344.2886. The cities of Hoboken and Jersey City are teaming up with Hudson County Transportation Management Association to create a plan to bring a bike-sharing program to the west coast of the Hudson. Officials in the city of Hoboken are hoping that the progressive ideals of Hoboken and nearby cities for implementing innovative results will serve as a model for other urban areas. The idea includes a program that seeks compatible user groups; – most notably, residential commuters attracted to the transportation hubs during peak times in the regular commuter routes. Tourists who visit the New Jersey waterfront to see the New York skyline and the Statue of Liberty would use the program during off-peak times. The promoters of the bike-sharing program are hoping for a system that could work across several municipalities and combine with existing transportation modes. The idea for a bike-sharing program in the Hoboken area follows a similar one begun in Newark. The Newark program, operated by the non-profit organization Meadowlink, pairs commuters with local university students who share similar commuting patterns. The key to success is to use bike sharing where travel patterns can support continued use of the equipment and keep redistribution to a minimum. Why is bike sharing important in urban areas? There is a strong connection between flourishing transportation centers and surrounding neighborhoods that can be served with a “one size fits all” solution like bike sharing. Bikes take up less space on streets and travel at speeds more suitable to an urban area. Bikes are also more eco-friendly than many other forms of transportation. They are quieter and do not contribute to air pollution. The bike sharing project is good news for Hoboken and surrounding areas. It helps commuters and tourists with transportation in an eco-friendly way. Also a great way to get some exercise! Hope to see you biking around town! About Eddie: Eddie Perez is a resident of Hoboken and works as a New Jersey licensed Broker – REALTOR . His goal is to educate both buyers and sellers so that they can make the most of their bottom line while saving time and having fun during the process of buying or selling condominiums and brownstones in Hoboken and the surrounding metro communities including Jersey City and Weehawken, New Jersey. He has personally sold over 135 homes and is among the top producing agents in Hudson County.You can email questions to eddie@InvestHoboken.com. To schedule an appointment to meet with Eddie, call him direct at 201.344.2886. The Hoboken Condo market update for April 2011 is in and depending whether you’re buying or selling, the news can be viewed as either good or not so good. Hoboken condominiums on average are selling faster than they did during the same period last year, just 69 days in April 2011 as opposed to 82 days for all closings in April of 2010. Additionally the overall inventory is at a historic moderate amount sitting at 378 units. The current absorption rate, the rate at which all condos in market would be “absorbed” by the current pace of sale (in this case we’re using the 75 units under contract in April) is now at 5 months. This points to a somewhat “balanced” market. Make it a great day! Your Hoboken REALTOR, Eddie Perez…..
About Eddie: Eddie Perez is an experienced New Jersey licensed Broker – REALTOR specializing in buying and selling condominiums and Brownstones in Hoboken and the surrounding metro communities including Jersey City and Weehawken, New Jersey. He has personally sold over 120 homes and is among the top producing agents in Hudson County. His goal is to educate both buyers and sellers so that they can make the most of their bottom line while saving time and having fun during the process. You can email questions to eddie@InvestHoboken.com. To schedule an appointment to meet with Eddie, call him direct at 201.344.2886. Search Hoboken MLS condos on your smart phone for FREE! Whether you’re searching for a Hoboken condo or want to see what the brownstone your standing in front of is selling for, this FREE app brings the information to the palm of your hand anytime, anywhere. This is the only real estate app that works on standard cell phones and smart phones alike. Plus, did I mention it’s FREE! Download today! Text: [BROWSE] to: 87778 to get my free app forIPhone, Android or Blackberry. Search all Hoboken MLS listings and view prices, square footage, taxes, features, maps, pictures and more! The “Call” feature will connect you to me if you have questions. If you need help downloading my app, please call my technical support team at Smarter Agent at 856-614-5423. If you haven’t used a text code or downloaded an app before, this is a great time to learn how! Then, the next time you’re wondering what’s for sale or what just sold in Hoboken – open my app and all the information will be at your fingertips. About Eddie: Eddie Perez is an experienced, active New Jersey licensed Broker – REALTOR specializing in buying and selling Condos and Brownstones in Hoboken and the surrounding metro communities including Jersey City and Weehawken, New Jersey. He has personally sold over 120 homes and is among the top producing agents in Hudson County. His goal is to educate both buyers and sellers so that they can make the most of their bottom line while saving time and having fun during the process. You can email questions to eddie@InvestHoboken.com. or call /text him direct at 201.344.2886. Great Restaurants Are Abundant In Hoboken! Condo living in Hoboken has a lot to offer. Hoboken is filled with great restaurants and this weekend you can get a taste of some by taking part in the Magnia Hoboken Food And Culture Tour. Enjoy walking in historic Hoboken while trying some local cuisine. “We offer a weekly walking tour that will offer residents and tourists a behind-the-scenes look at the world class food establishments that highlight Hoboken’s Italian heritage.” said Tour Director, Avi Ohring. The tour will also be visiting the childhood home of Frank Sinatra. Tour groups are limited to 16 and are available every Saturday. Tickets may be purchased up to an hour before the tour. Tickets are $42 and include all food samples. The walking tour leaves promptly at 2:00pm from the main entrance of the Hoboken PATH station. Plan to allow 3.5 hours for the tour. If you are looking to enjoy the benefits of homeownership in the Hoboken area contact me, Eddie Perez of ReMax Gold Coast Realty. You can reach me directly at (201) 344-2886 or check out my InvestHoboken website. Stunning Hoboken Brownstones – Jewels of the NYC Metro Area at a Fraction of the Price! Owning a Victorian brownstone home is the dream of many that live in Hoboken and the NYC Metro area. They are truly the jewels of many neighborhoods. Big, grand homes of an era gone by, now prized for being able to accommodate growing families by offering them multiple bedrooms and bathrooms, large yards and a style that blends modern touches with unique historic details. Most Hoboken brownstones can be had at a fraction of the price when compared to similar homes in Manhattan and many parts of Brooklyn. Not only can one save money but often one can save time with an even easier commute into many parts of New York City. All of this is available without sacrificing a vibrant city environment. 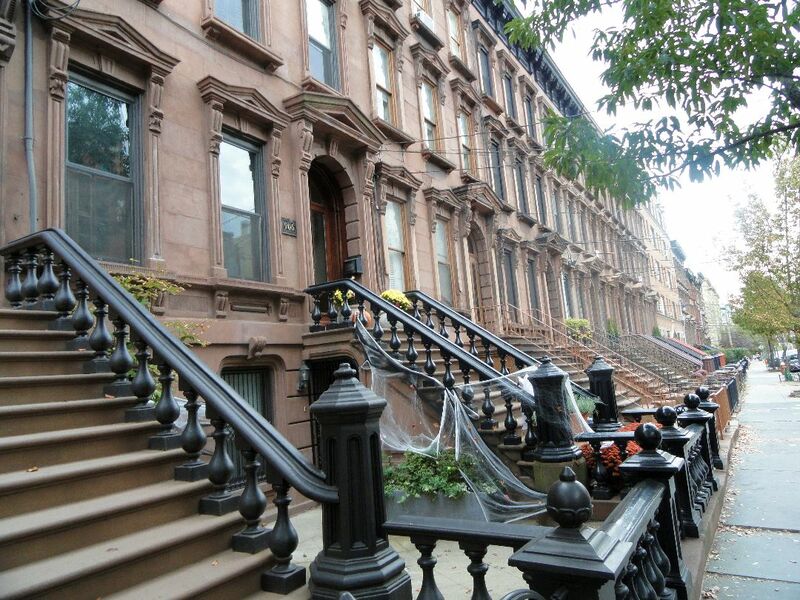 These Hudson Street Brownstones are some of the finest. Many have been updated with modern amenities such as gourmet kitchens and central air conditioning while retaining the details that give them their unique qualities. So if you’re thinking of buying a large condo…see if perhaps one of these jewels might be the right fit for you! About Eddie: Eddie Perez is an experienced New Jersey licensed Broker – REALTOR specializing in buying and selling condominiums and Brownstones in Hoboken and the surrounding metro communities including Jersey City and Weehawken, New Jersey. He has personally sold over 120 homes and is among the top producing agents in Hudson County. His goal is to educate both buyers and sellers so that they can make the most of their bottom line while saving time and having fun during the process. You can email questions to eddie@InvestHoboken.com. Call him direct to see any of these properties 201.344.2886.